Hi, The events of the past few months have been rather troubling for me, and have led me to focus on very morbid thoughts. Can the fear of death truly coexist with faith? Is is healthy for a Christian to ponder excessively what people experience in the last few moments of their life? And if a Christian is unable to find reassurance in Scripture or Prayer on this matter, what other avenues can she turn to? First, let me apologize for our delayed response to your question. We had a glitch somewhere, and no one was notified of your question until I just happened to notice it in the Dashboard. Perhaps it was Providence that I was the one to see your question. My sister died recently, pretty close in time to when you wrote in your question, so this is something I’ve been thinking about a bit too. Since you asked three questions, I will provide my answer in three parts. QUESTION: Can the fear of death truly coexist with faith? ANSWER: Yes, but it’s not ideal. QUESTION: Is it healthy for a Christian to ponder excessively what people experience in the last few moments of their life? ANSWER: No, because nothing in excess is healthy. But is it healthy for a Christian to spend a good bit of time pondering what people experience in the last few moments of their life? There’s nothing wrong with that, as long as it doesn’t detract from doing anything else you’re supposed to be doing or thinking about. If it does detract, you’d better cut back. If you can’t just cut back, then just quit. QUESTION: And if a Christian is unable to find reassurance in Scripture or Prayer on this matter, what other avenues can she turn to? 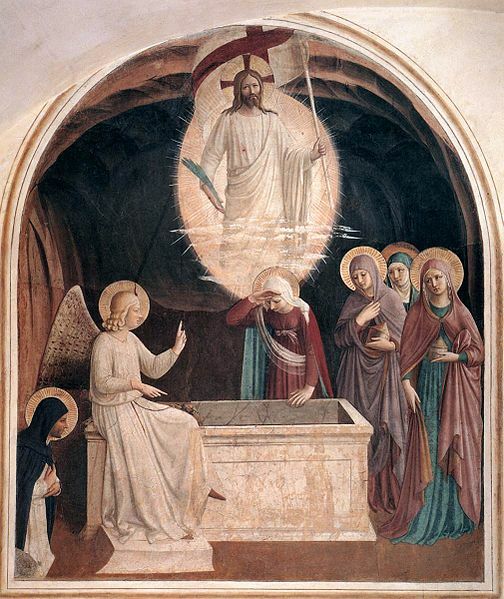 The bodily resurrection of Jesus Christ. follower of Jesus doesn’t need to fear death. However, if the root problem is that you don’t know if you can believe the Bible, that’s a different matter. And a bigger topic than one blog post can handle! All I can do here is give you links that might help. Here they are: this book (of course), and this book (naturally), and this book (not to be missed) and this book (a splendid one), and (both last and least) this analysis (if I do say so myself). A follower of Jesus who believes the Bible has nothing to fear in death. Of course, fear is an emotion, and emotions aren’t always under the total control of our beliefs. Having the right beliefs helps to keep them within reasonable limits, but emotions are still emotions. So that’s the third possibility I mentioned: that (for whatever reason) your emotions don’t follow your knowledge. What should you do if that’s the problem? There are things that can help here, but . . . we’re talking about the health of your soul, and spiritual healing can be rather complex; the same treatment that works for one person might not work for everyone, and one treatment that works for you might not heal you all the way. Robert C. Roberts wrote a good book that looks into this sort of thing in more detail, but here are a few practices that can help train the right emotions: prayer (including prayer for healing), meditation on biblical truth, and corporate worship which calls on the emotions to respond to biblical truth. On the subject of thinking through death and related issues, as well as turning to philosophy and theology, there are some questions regarding death that are a worthwhile pursuit for those with the time and the inclination: What are things like between death and resurrection? What happens to my molecules at the Resurrection when they’ve gone from me to dirt, from dirt to grass, from grass to a cow, and from the cow to someone else who had the same molecules when he died? And a new question I ran into while reflecting on my sister’s recent death: Why did Moses and Elijah both apparently look like they used to look, but otherwise appear, apparently, in the same form on the mount of Transfiguration–when one of them was dead and one of them was still alive? There are good resources available for looking into these questions, such as Philosophia Christi and Faith and Philosophy, which will occasionally run articles addressing this topic.